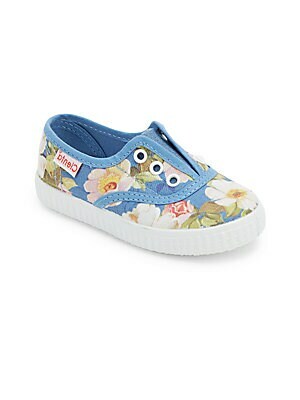 Beautiful floral print charms these no lace sneakers Contrast eyelets Slip-on style Canvas upper Canvas lining Rubber sole Made in Spain. Children's Wear - Children's Shoes. Cienta. Color: Blue. Size: 34 EU/ 2.5 US (Child). Breathable canvas Maryjane flats in crochet construction Canvas upper Grip-tape strap Rubber sole Made in Spain. Children's Wear - Children's Shoes. Cienta. Color: Gold. Size: 33 EU/ 1.5 US (Child). Breathable canvas Maryjane flats in crochet construction Canvas upper Grip-tape strap Rubber sole Made in Spain. Children's Wear - Children's Shoes. Cienta. Color: Gold. Size: 34 EU/ 2.5 US (Child). Breathable crochet canvas sneakers with espadrille base. Canvas upper Slip-on style Rubber sole Made in Spain. Children's Wear - Children's Shoes. Cienta. Color: Blue. Size: 20 EU/ 4.5 US (Baby). Breathable crochet canvas sneakers with espadrille base. Canvas upper Slip-on style Rubber sole Made in Spain. Children's Wear - Children's Shoes. Cienta. Color: Blue. Size: 21 EU/ 5 US (Baby). Breathable crochet canvas sneakers with espadrille base. Canvas upper Slip-on style Rubber sole Made in Spain. Children's Wear - Children's Shoes. Cienta. Color: Blue. Size: 23 EU/ 7 US (Baby). Breathable crochet canvas sneakers with espadrille base. Canvas upper Slip-on style Rubber sole Made in Spain. Children's Wear - Children's Shoes. Cienta. Color: Blue. Size: 28 EU/ 11 US (Child). Breathable crochet canvas sneakers with espadrille base. Canvas upper Slip-on style Rubber sole Made in Spain. Children's Wear - Children's Shoes. Cienta. Color: Blue. Size: 29 EU/ 11.5 US (Child). 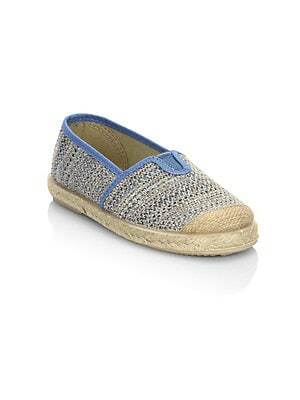 Breathable crochet canvas sneakers with espadrille base. Canvas upper Slip-on style Rubber sole Made in Spain. Children's Wear - Children's Shoes. Cienta. Color: Blue. Size: 33 EU/ 1.5 US (Child). Comfy canvas slip-on sneakers for a sporty look Cap toe Slip-on style Canvas upper Canvas lining Rubber sole Made in Spain. Children's Wear - Children's Shoes. Cienta. Color: Fuchsia. Size: 33 EU/ 1.5 US (Child).